Hey Mama, Are you enjoying the present moment to the fullest? 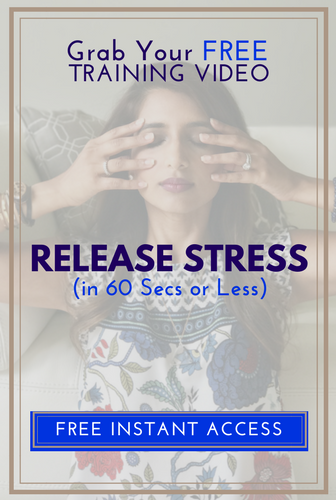 Just as a special thank you for visiting my site and taking the time to complete this questionnaire, here is a free training video to “Release Stress in 90 seconds or less", that I created especially for you! You’ll learn my go-to tool that helps me feel quickly feel calm when I feel overwhelmed + you’ll be invited to join our private Mod-Zen Mama Facebook Tribe. TELL ME WHERE TO SEND YOUR FREE TRAINING VIDEO GUIDE? You’re amazing and I honor your honestly! As a thank you for completing this questionnaire, I have created “Get Present in 30 Seconds or Less” training video especially for you! It’ll give you my #1 go-to tool that helps me stop overthinking and get present + you’ll be invited to join our private Mod-Zen Mama Facebook Tribe! Yesterday a mom messaged me about how to deal with meltdowns in public. Something we have all struggled with, right?! I remember last year after taking Santa pictures at the mall, Ayaan had an epic meltdown because he didn’t get to spend enough time talking to Santa. I remember pushing the strollers, all eyes were on me. And it’s hard not to feel those judgy eyes getting annoyed by the sound or worse thinking you’re not competent enough to keep your child in check. But I didn’t fret. There was not one ounce of fear, stress or anger on my face. My voice was level and calm. And I just help space for my boy and ignored the looks. And then I shared my secrets with this kind stranger of what I used to help me keep my stress in check. And today I’m sharing them with YOU. When you are carting around little kids, a tantrum, debate, or argument can pop up anytime anywhere. Are you prepared to not shout and keep your stress in check? This is exactly what I chatted about in this FB LIVE! The weird things I keep in my purse to help me manage mental, emotion and physical stress on-the-go. When I’m chronically worrying, frustrated or physically drained… I got something that helps me and fiery 3 year old. I’m not gonna lie, it was bangin’! Moms loved it! And so will you! Click the link below to watch the video now. After you’ve watched I wanna personally connect with you! STEP 1: C’mon over to my free + private facebook group to join the convo and learn more simple tips to stress less, live mindfully and raise mindful children- click here to join! STEP 2: Did you love this video? Sign up below to be the first to get new and fresh and mini-mindfulness trainings, and mindful parenting advice delivered straight to your inbox! 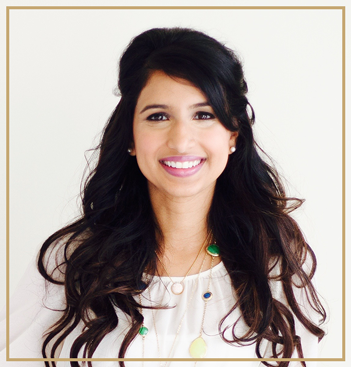 Sign up to get Tejal's weekly actionable advice + soulful wisdom to keep you inspired and on track... Yep, It's FREE! A Mindful Mama Coach + Writer + Passionate advocate dedicated to helping you become the mama you most want to be. YOUR LIFE WON'T CHANGE UNLESS YOU DO. ARE YOU READY? Grab Your FREE Gift + Join our Mama Tribe + Take The First Step Toward a More Peaceful YOU.